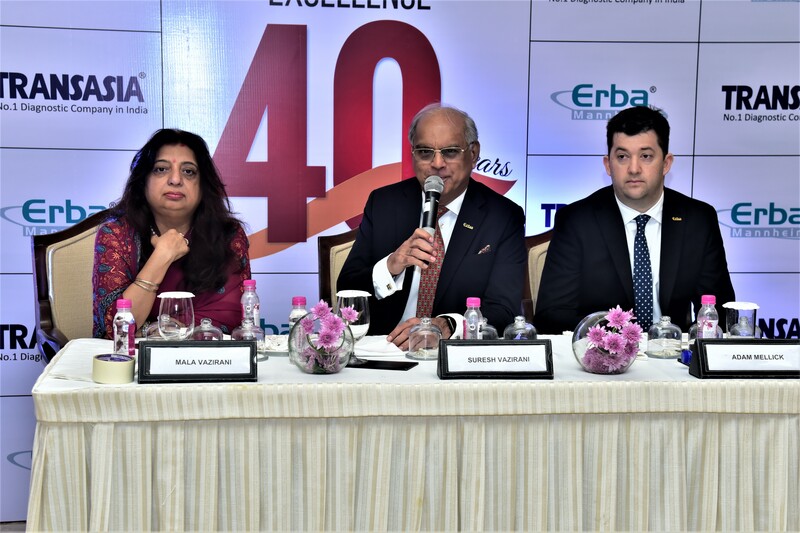 Mala Vazirani, Executive Director, Transasia Bio Medical Ltd., Suresh Vazirani , Chairman & MD, Transasia Bio medical Ltd. ,Adam Mellick,Global product Manager Erba UK. 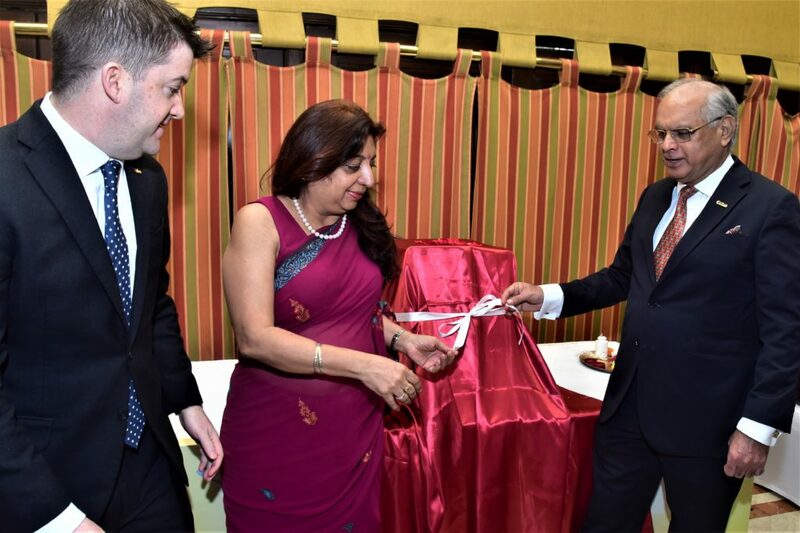 Kolkata, March 16, 2019: Transasia Bio-Medicals Ltd., India’s No. 1 In-vitro Diagnostic (IVD) Company and among the leading global players globally focused on emerging markets, today announced that it is bringing its international hematology range for the first time to Indian market. Backed by European R&D, the 3-Part Differential (3PD) to 5-Part Differential (5PD) fully automated hematology analyzers, reagents and controls will be commercially launched from April 1, 2019 across India. These next-generation instruments include a number of features to help institutions, clinicians and laboratory technologists offer accurate diagnosis. Manufactured by Erba Lachema (100% owned subsidiary of Transasia) in Europe, the H 360, H 560 and ELite 580 hematology analyzers are widely used in the European market. Hematology analyzers are extensively used in patient and research settings to count and characterize blood cells for disease detection and monitoring. Basic analyzers return a complete blood count (CBC) with a three-part differential white blood cell (WBC) count. Sophisticated analyzers measure cell morphology and can detect small cell populations to diagnose rare blood conditions. As per a 2018 Union Ministry of Health and Family Welfare study, India has the largest number of children with Thalassemia major in the world (150,000). There are almost 42 million carriers of β- thalassemia trait. While the prevalence averages 3-4% across India, a higher frequency has been observed in certain communities, such as Sindhis, Punjabis, Gujaratis, Bengalis, Mahars, Kolis, Saraswats, Lohanas and Gaurs. An estimated 10,000-15,000 babies with thalassemia major are born annually.  HbE, is the variant hemoglobin that significantly contributes to hemoglobinopathies, especially in West Bengal and North East where the carrier frequency can be as high as 50%. Sickle cell disease prevalence is variable, with very high frequency in many tribal communities.